Atlanta’s boutique concierge law firm – family law and defense attorney services. 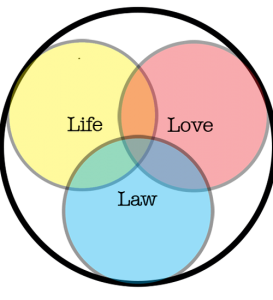 LifeLoveLaw is a boutique, concierge law firm. We providing comprehensive family law and defense attorney services throughout Atlanta in the privacy and comfort of your own home. Concierge legal services, unlike a traditional law firm, are structured to provide the legal help you need in a way that works for you. Our legal professionals will visit you in the privacy of your home or office when it is most convenient for you. You don’t need to drop everything to race to a meeting with your lawyer in the middle of your busy day, or waste hours sitting in traffic. You can address your important legal concerns in the comfort of your home or office, and at a time that works for you. A traditional firm might seem impressive, or feel prestigious, but we can deliver the same legal expertise as the big firms, without all the expense of a lavish office at an upscale address. By bringing our services directly to you, we’re choosing to spend our resources where we think they matter the most–in providing you with top-notch legal representation at a fraction of the cost of more traditional law firms.